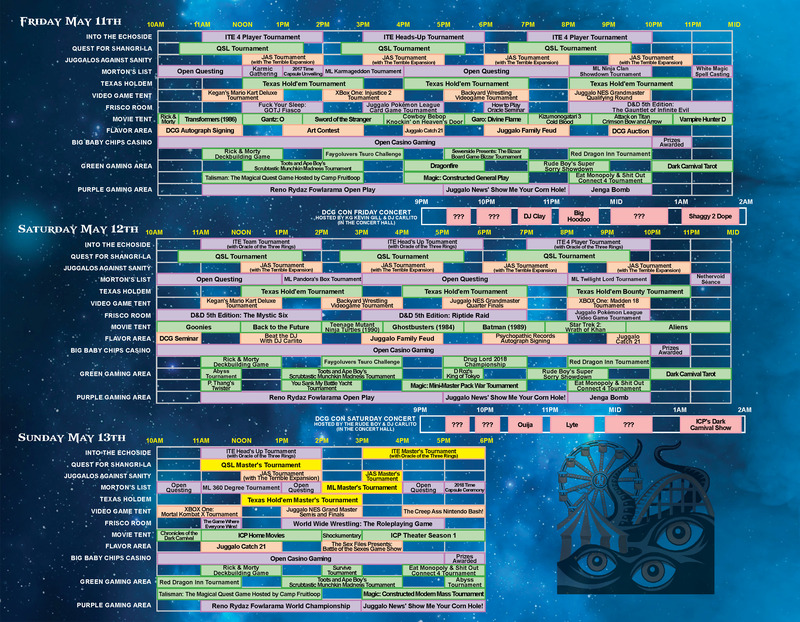 Radio420™: The 2018 DCG Con Timeline is now LIVE! The 2018 DCG Con Timeline is now LIVE! DCG Con 2018 is goin down in Denver, CO, May 11th through 13th. Tickets are now on sale over at DCGCon.com! This year there are 3 times as many Juggalo run events, the video game area, and Big Baby Chips casino! Catch us at the Faygoluvers Tsuro tournament. For Juggalos, By Juggalos! We’ll catch you at the con homies! Whoop whoop!